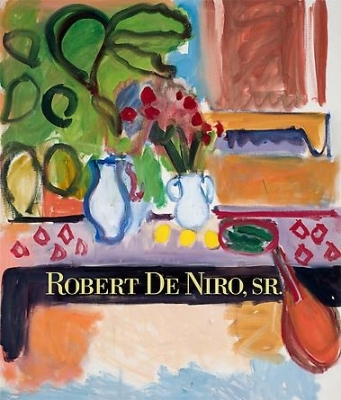 One of the most original and powerful painters of the postwar generation in New York, Robert De Niro, Sr. (1922-1993) blended abstraction and representation, bridging the gap between European modernism and Abstract Expressionism. For our first exhibition as the representatives of the Estate of Robert De Niro, Sr., DC Moore Gallery is presenting a dynamic group of his figure paintings, landscapes, still lifes, and charcoal drawings from 1960-1993. At the time of his first solo show at Peggy Guggenheim’s Art of This Century gallery in 1946, De Niro was primarily working in an abstract manner with some figural references. By the late 1950s, he had arrived at his distinctive and personal mode of painting, which he continued to explore and develop for the next forty years. His works from these decades are expressionistic, radical stylizations that feature his signature post-Fauve palette with freely brushed areas of color defined by strong outlines. Characterized by his use of line, gesture, and movement, De Niro’s art is grounded in the act of painting and drawing, not subject matter, while also often referencing European masters from Delacroix to Matisse. With his expansive knowledge of art history, he sought to maintain the tradition of representational painting, eschewing the tide of abstraction that was championed by many of his contemporaries. He was by no means a traditionalist, however, and instead followed his own uncompromising vision of emphatic painterliness and experimentation. This can be seen in Autumn Landscape, one of a series of paintings done in Provincetown and upstate New York in 1968 that focus on the architecture and natural environment, suburban and small town settings. De Niro’s bold, reductive arrangements of shapes and color, which describe lawns, buildings, and trees in broad, slashing strokes, provide a rich visual experience of the American landscape. Last Painting of 1985-1993, on the other hand, evokes a French interior in what is essentially a still life with table, lemons, roses, pitchers, and a mandolin. Painted in his New York studio, it is a fitting culmination to the career of an artist who embraced European and American modernism while forging a uniquely personal path that resonates in his vital and innovative art. Robert De Niro, Sr. studied with Josef Albers at Black Mountain College in 1939 and 1940 and later with Hans Hofmann in New York and Provincetown through 1942. He then worked for five years at Hilla Rebay’s legendary Museum of Non-Objective Art. In 1945, he began his involvement with Peggy Guggenheim’s Art of This Century gallery in New York. He was awarded a Guggenheim Fellowship in 1968 and continued to exhibit during his lifetime at galleries and museums throughout the United States. His work is included in many public collections, including those of the Metropolitan Museum of Art, Brooklyn Museum, Smithsonian American Art Museum, Hirshhorn Museum and Sculpture Garden, Corcoran Gallery of Art, and Whitney Museum of American Art. In 2009, a retrospective of his work was presented at the Musée Matisse in Nice, France. DC Moore Gallery is the exclusive representative of the Estate of Robert De Niro, Sr. Further information about his life and work can be found on the estate’s website at www.robertdenirosr.com.